There is a lot of discussion about “resilience” in military conversations over the past fifteen years concerning our nation’s conflicts. 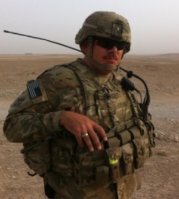 In the last few years of my Army career, I had the distinct pleasure of being able to attend the University of Pennsylvania’s Master Resilience Trainer(MRT) course, and because of this have gained a unique perspective on the topic. Of the many definitions of resilience that are out there, the one that resonates with me is the concept that having resilience means to have the ability to recover quickly from difficulties. 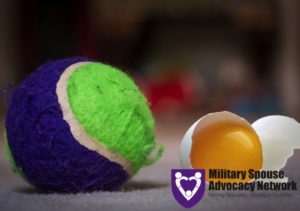 During our MRT course, resilience was demonstrated by the elasticity of a tennis ball, rather than the fragility of an egg. A tennis ball, when dropped, will compress, but will spring back into shape. An egg does not have the same elasticity, and instead will break if dropped from the same height as the tennis ball. So how does this equate to life in the military? The challenges are significant and many, including the changes that occur in the move from assignment to assignment, impending deployments, time away from home, and re-adjusting after deployments. Often, many of these things happen at the same time, and our families are impacted significantly. Sometimes, these things happen simultaneously. I recall, during my first deployment to Afghanistan, that my wife and I were considering our next assignment. I looked up my potential orders on the Army Personnel website and it read: 25th Infantry Division, Schofield Barracks, Hawaii. “YES! Score!” I then checked it two days later: 58th Transportation Battalion, Fort Leonard Wood, Missouri. “What? NO!” How is it possible to go from the beaches of Hawaii to the woods of southern Missouri? THAT is the rollercoaster of military assignments that we experience. This kind of whipsaw and change requires some extreme flexibility, which develops resilience in us. When we are faced with the everyday stress of military life, there is temptation to avoid or ignore the obstacles, rather than assess and address them. A key factor of resilience is our own mindset, our outlook on the world. Is it positive? Is it negative? We have the ability to control our minds, if we are aware of them. As a matter of fact it is one of the only things that we CAN control, even if it feels out of control at the time. Viktor Frankl, in his book, Man’s Search for Meaning one of the most influential mental health professionals of the 20th Century said this: “Forces beyond your control can take away everything you possess except one thing, your freedom to choose how you will respond to the situation.” This reaction, this choice, is the difference between bouncing back or cracking. “I am experiencing a challenge.” It is extremely important to take a step back and acknowledge that we are in the midst of a challenge, an obstacle, or a crisis. If we don’t take the time to pause and understand exactly what is happening, both in the world and in our own mind, then there is a chance that we will react without thinking. “Something caused this challenge.” “Is it something I did, or something that someone else did?” Assigning appropriate responsibility is very important. Blaming ourselves for the actions of others is not helpful, just as it is for blaming others for our own actions. Assigning appropriate responsibility is a good way of acknowledging the truth. “My car broke down.” “Did I ignore routine maintenance, or did something unforeseen happen?” Deployment orders come down: “Is this unexpected, or did we know it was coming?” When assigning appropriate responsibility, it is important not to blame, but to acknowledge the appropriate role. With blame comes condemnation, negative judgment against ourselves or others. Blaming benefits no one; acknowledging and accepting appropriate responsibility benefits everyone. “I have control over how I react to this challenge.” As mentioned above, we have the ability to choose how we react to any given situation. “Do I ignore the problem, avoid the problem, or rage and riot over it?” That’s the path of the cracked egg. The choices that lead us to make a bad situation worse are the paths of resistance, not resilience. Instead, if we acknowledge that there is a problem, understand that there is a cause to the problem, and have the ability to provide a solution to the problem, it is much more likely that we are going to bounce back from a tough and challenging situation. By facing these challenges with these three key concepts, we can ensure that we remain resilient in the face of pressures, rather than resistant to the changes and end up cracking under the pressure. What have you told yourself to overcome obstacles? How have you been resilient in the face of the constant change and stress that is life in the military? We’d love to hear your feedback in the comments below.